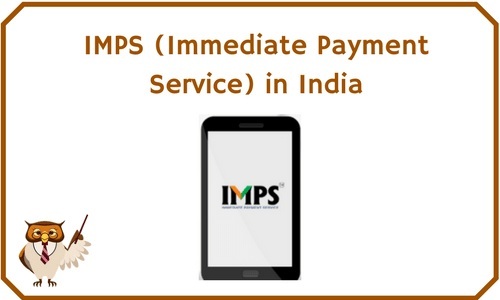 IMPS (Immediate Payment Service) is an instant, 24 * 7, real-time inter-bank electronic funds transfer system, provided by NPCI ( National Payments Corporation of India) through which one can transfer money instantly across India, through mobile, internet and ATMs. IMPS is not only safe but also economical both in financial and non-financial perspectives. Unlike the transaction by either NEFT or RTGS, which can done only the working hours, the IMPS service is available 24*7 throughout the year including bank holidays. In August 2010, NPCI conducted a pilot study on the mobile payment system with the banks like SBI, BOI, UBI and ICICI. As a result, on 22 November IMPS public launch happened by Smt. Shyamala Gopinath, DG RBI at Mumbai and this service is now available to the Indian public. To make this user-friendly so that customers can access their bank account and make remittance anytime. To make payment simpler with the use of mobile number. To achieve the goal of RBI in digitization of retail payment. To make the mobile payment system safe and secure. To build the foundation for a full range of mobile banking services. To participate in IMPS bank should have approval from RBI for Mobile Banking Service. Customers have to register their mobile number for transaction through mobile. The customer get a unique Mobile Money Identifier (MMID) and MPIN from the bank, which is 7-digit number. A basic phone or smartphone can used for IMPS. There is no mandatory to have a bank account for availing IMPS, unbanked customer can initiate IMPS transaction using the services of Pre-Paid Payments Instrument Issuer (PPI). Customer can linked more than one account to the same mobile number. The charges for remittance through IMPS are decided by the banks and PPIs.